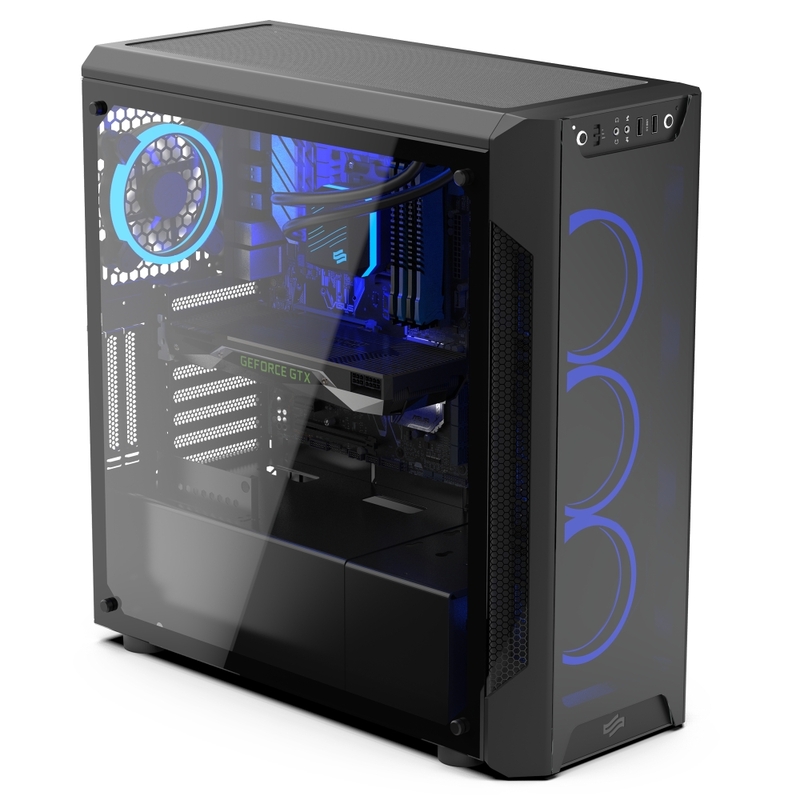 SilentiumPC has announced its latest Midi Tower, the Armis AR7X TG RGB. 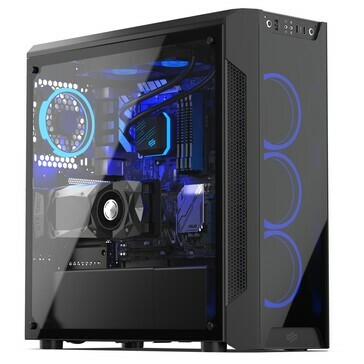 The case costs around £125 (~ US$161) and includes tempered glass panels along with four Sigma HP Corona RGB 120 mm fans and enough space for up to 420 mm long GPUs. 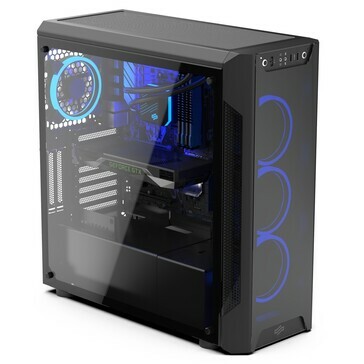 SilentiumPC has added to its Armis AR7 line-up with the AR7X TG RGB, a Midi Tower case that supports ATX, Mini ATX or Mini ITX motherboards. The case measures 51.8 x 24.0 x 51.1 centimetres and weighs 9.78 kg without any components. 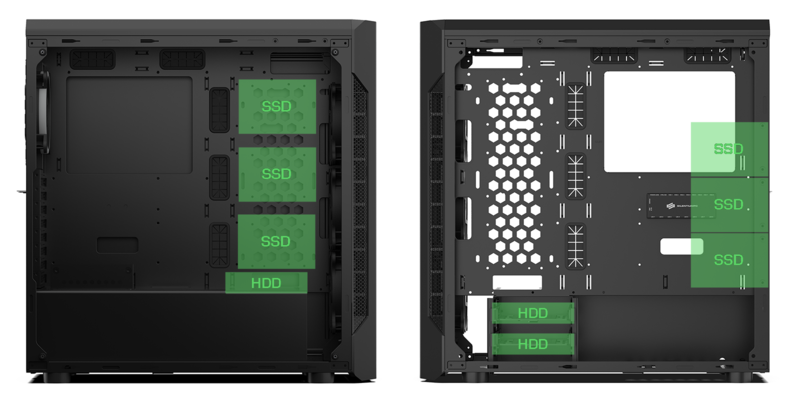 These spacious dimensions allow the AR7X TG RGB to house up to 42 cm long GPUs and 22 cm long PSUs. 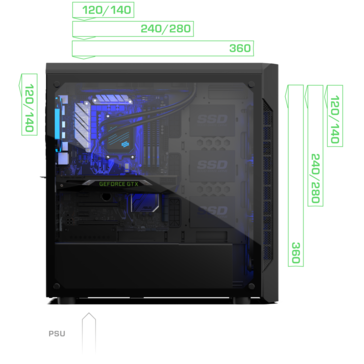 Moreover, the case is large enough to also accommodate a 17.8 cm tall CPU cooler along with up to nine 2.5-inch drives. The AR7X TG RGB has two tempered glass panels so that you can show off your components and four Sigma HP Corona RGB 120 mm fans. There is an advanced fan controller too that can control up to eight fans and can integrate with third-party software via a 4-pin RGB header for almost endless customisation. Alternatively, you can adjust colours and switch modes with the I/O panel on the front of the case, which also has two USB 3.1 Gen 1 Type-A ports and dedicated 3.5 mm headphone and microphone jacks. 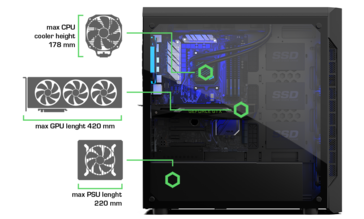 The case supports up to seven 120/140 mm fans, but there is space for two 240/280/360 mm radiators and an additional 120/140 mm radiator, should you prefer liquid cooling. 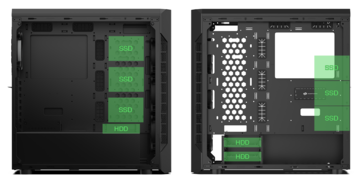 The AR7X TG RGB is split into two chambers for improved airflow, like many other modern cases. SilentiumPC sells the Armis AR7X TG RGB across Europe through third-party resellers like Amazon, where it currently costs €107 or £125 in the UK (~ US$161).